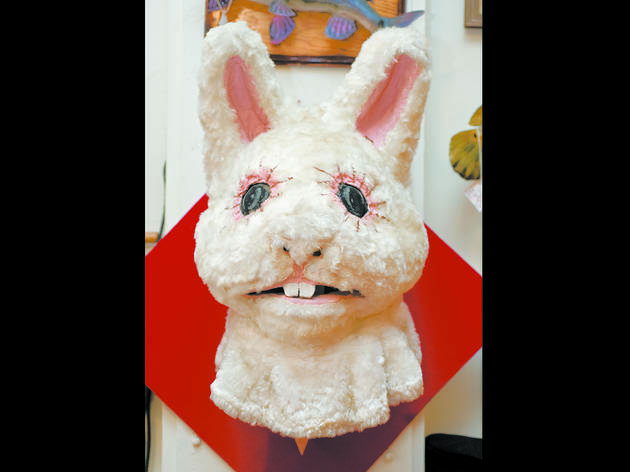 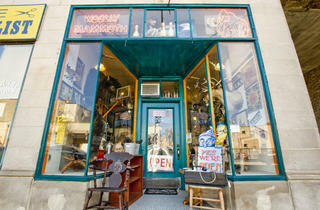 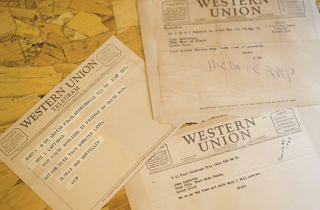 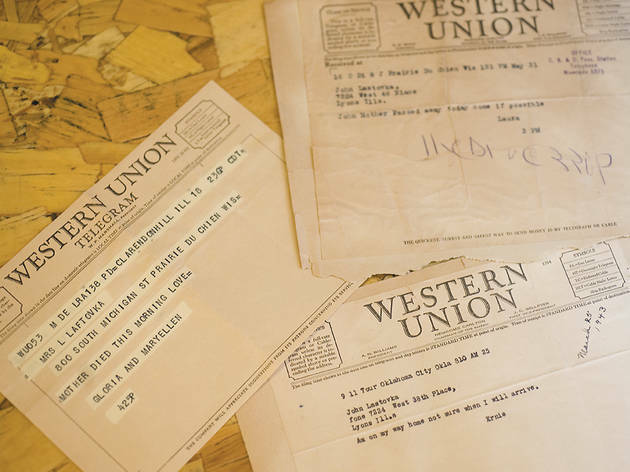 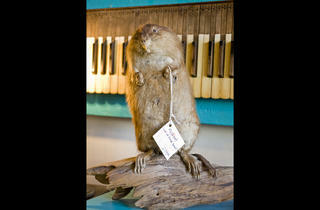 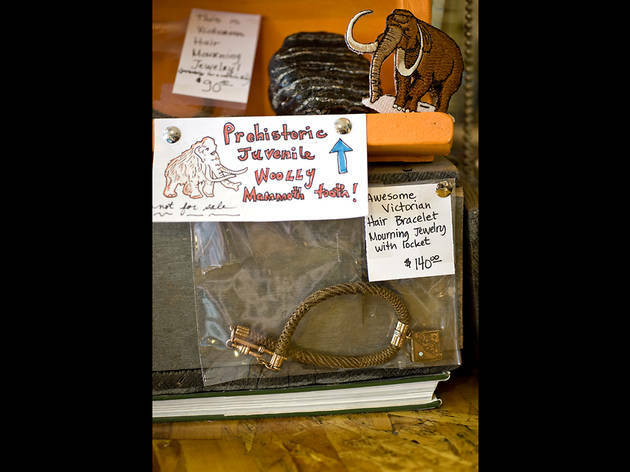 �Jamie DiVecchio RamsayDeath telegrams at Woolly Mammoth Antiques and Oddities Shop in Andersonville. 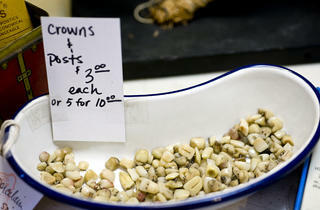 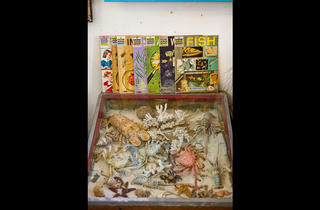 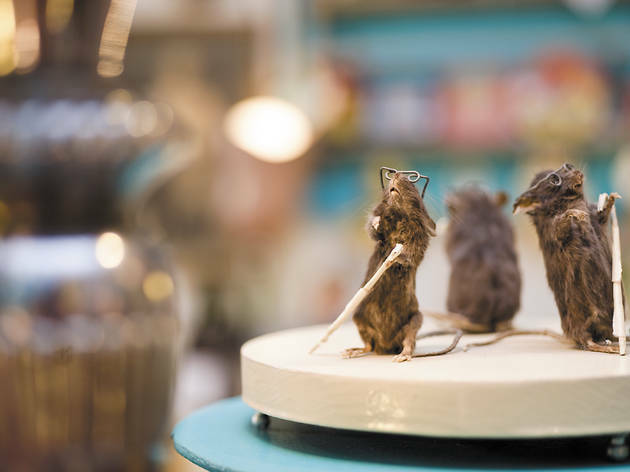 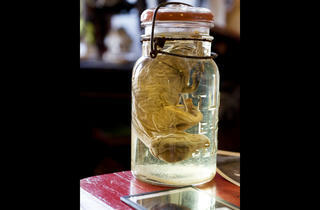 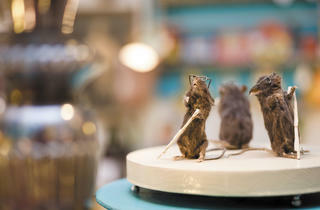 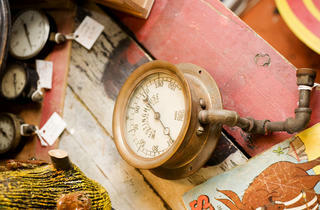 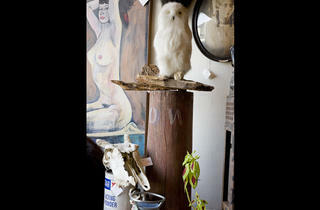 �Jamie DiVecchio RamsayFreeze-dried mice at Woolly Mammoth Antiques and Oddities Shop in Andersonville. 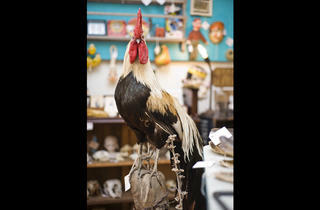 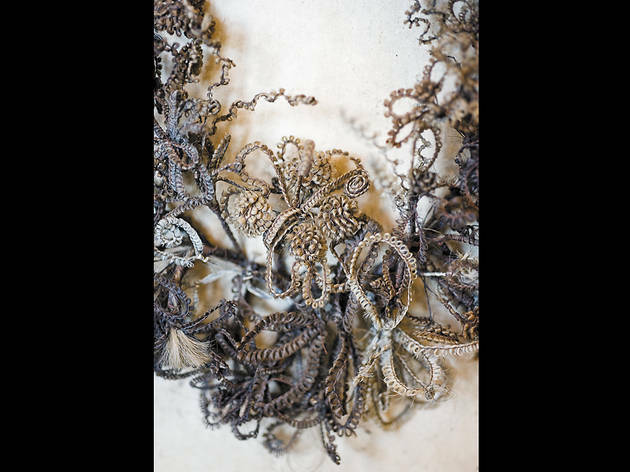 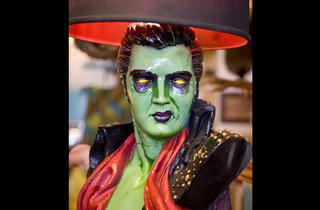 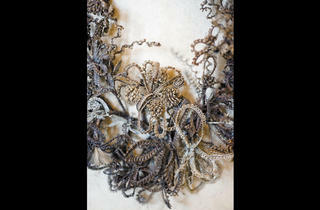 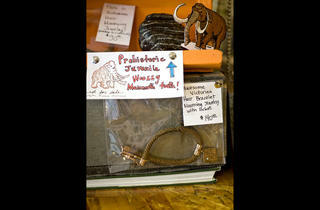 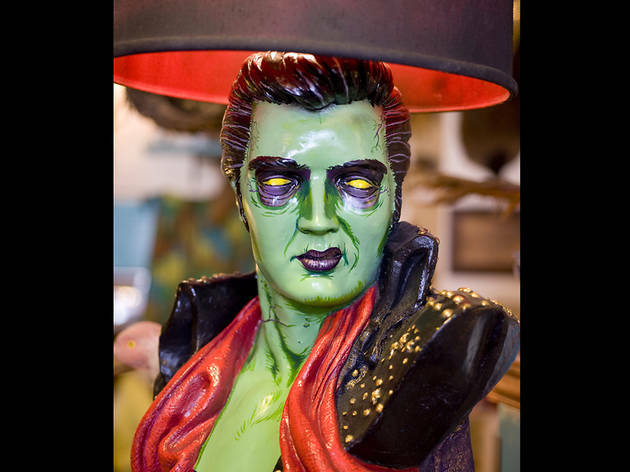 �Jamie DiVecchio RamsayVictorian hair art at Woolly Mammoth Antiques and Oddities Shop in Andersonville. 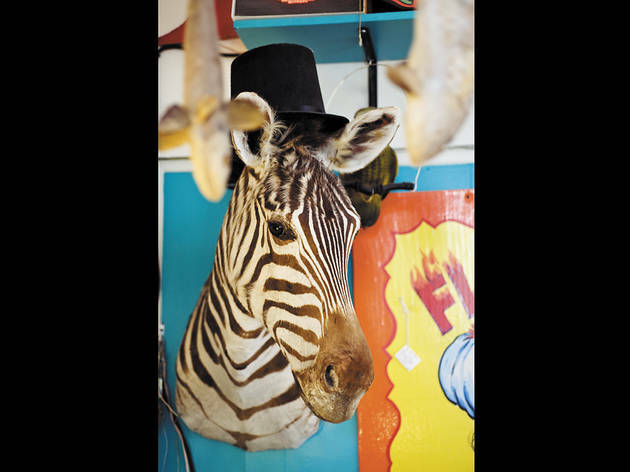 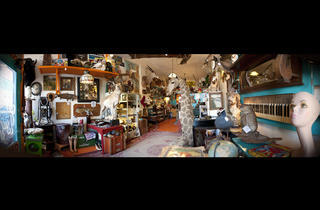 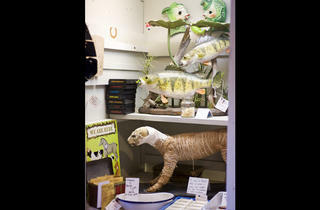 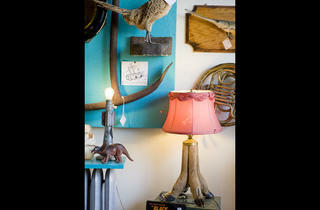 �Jamie DiVecchio RamsayTaxidermied zebra at Woolly Mammoth Antiques and Oddities Shop in Andersonville. 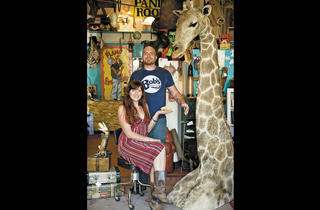 For Adam and Skye Rust, it’s death till they part. 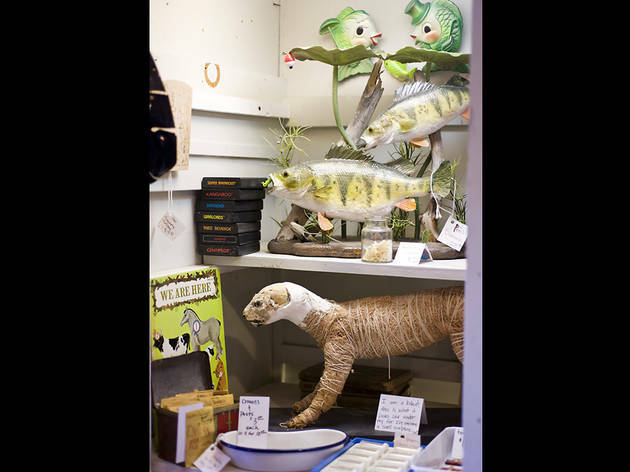 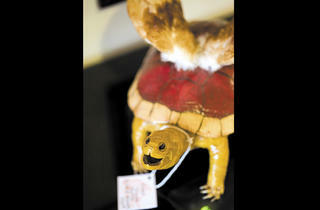 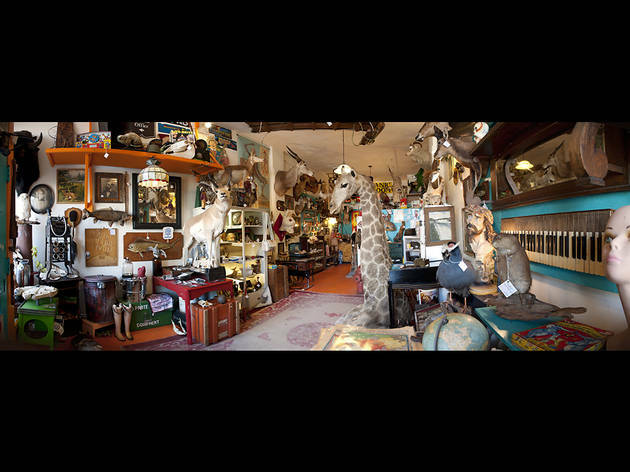 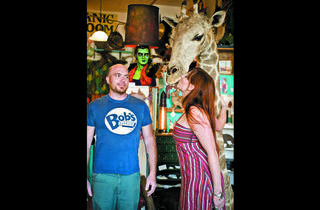 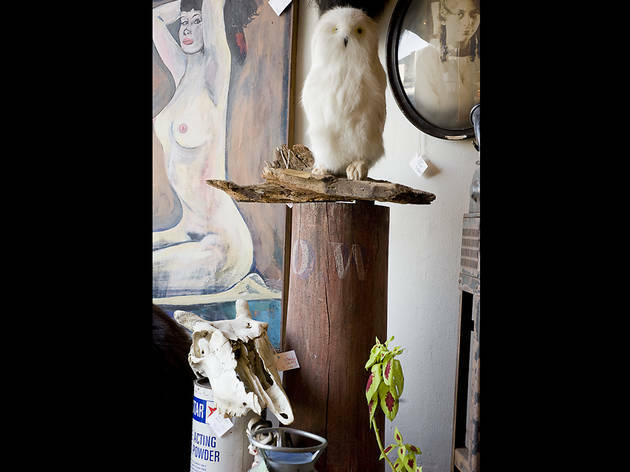 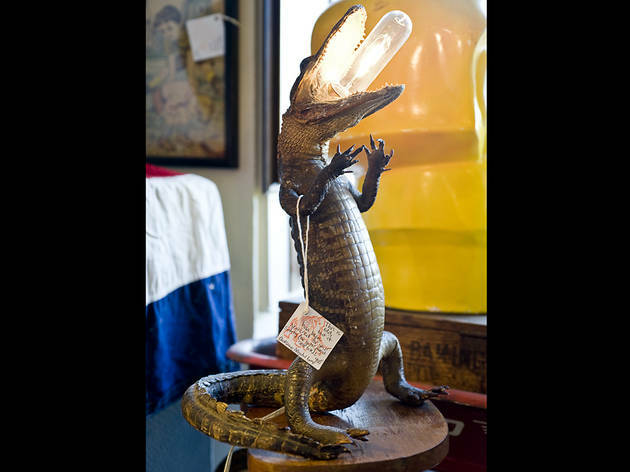 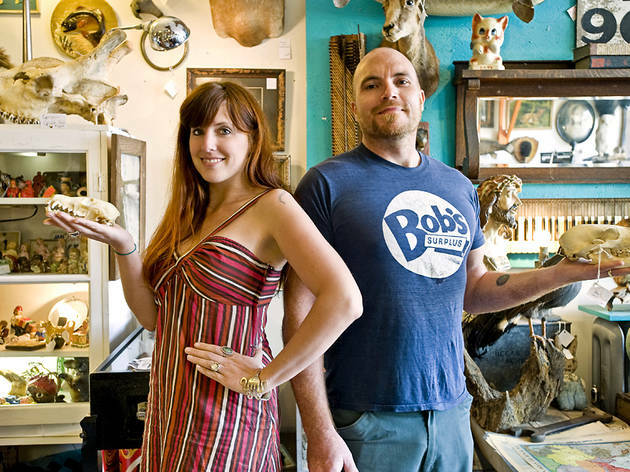 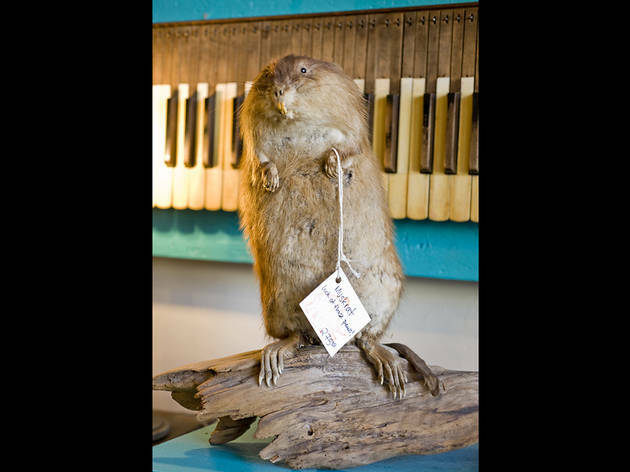 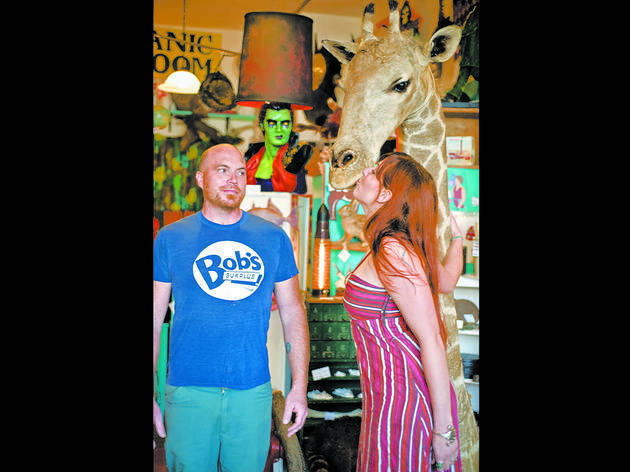 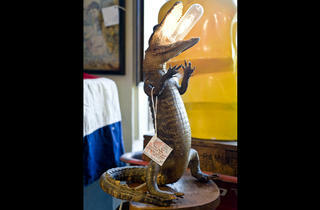 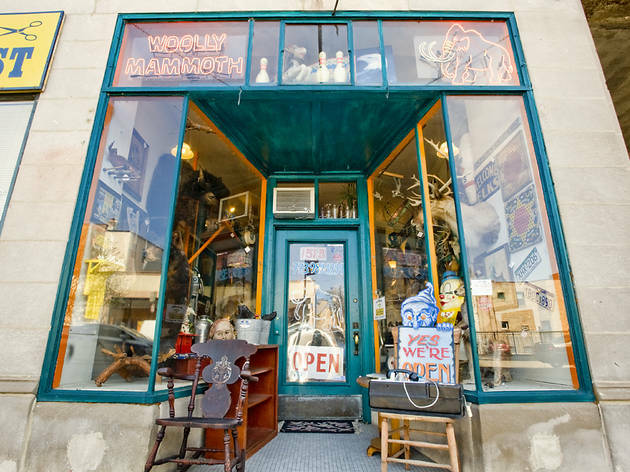 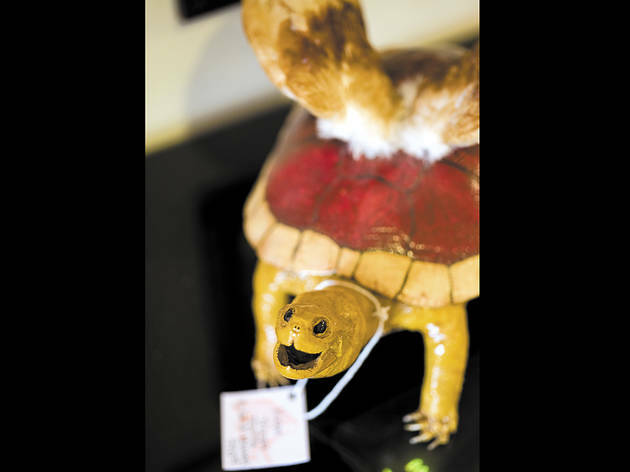 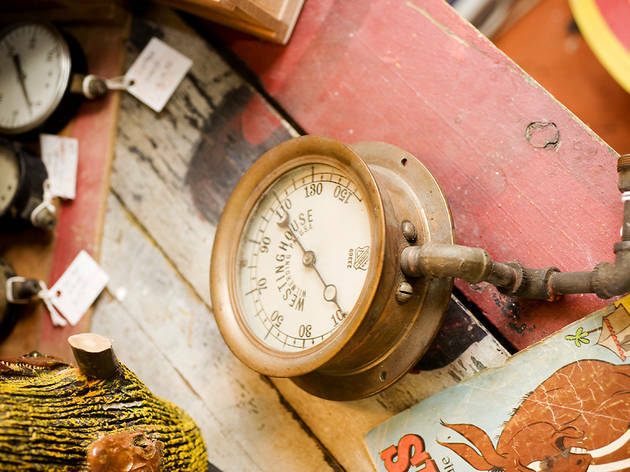 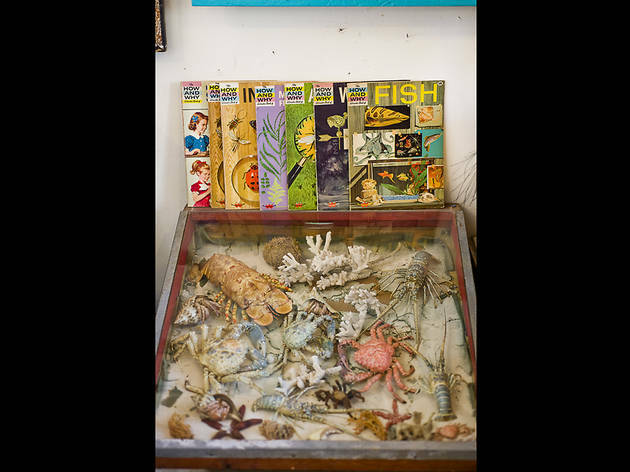 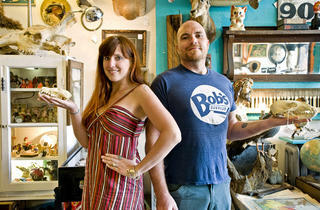 Inside their two-year-old Andersonville store, Woolly Mammoth Antiques, Oddities & Resale (1513 W Foster Ave, 773-989-3294), the couple have surrounded themselves with wall-to-wall taxidermy and memento mori—reminders of the inevitability of death. 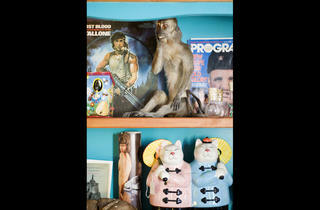 “We stock these things for a selfish reason: to make ourselves more comfortable with dying,” Adam says. 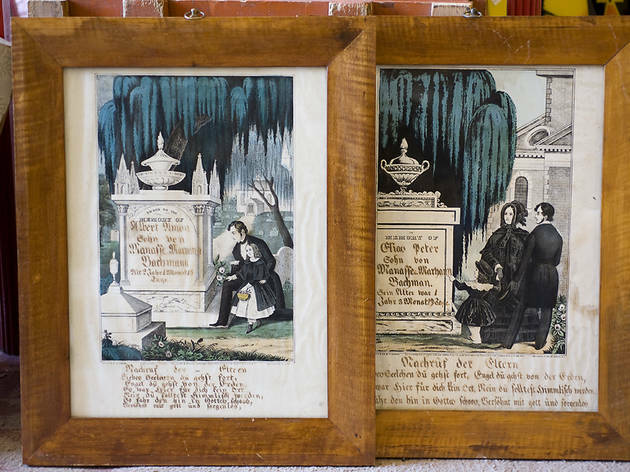 While Skye worked on her graduate thesis, her grandfather lay on his deathbed. 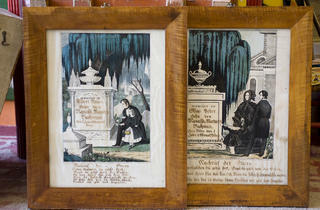 She responded with an art installation satirizing the funeral industry’s commodification of death. 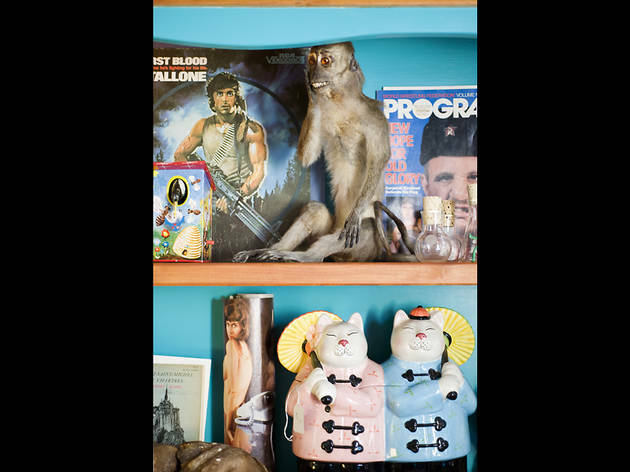 She founded a fake company called Forever Inc. and created a macabre line of furniture: a sofa, coffee table and throne—all functional caskets. 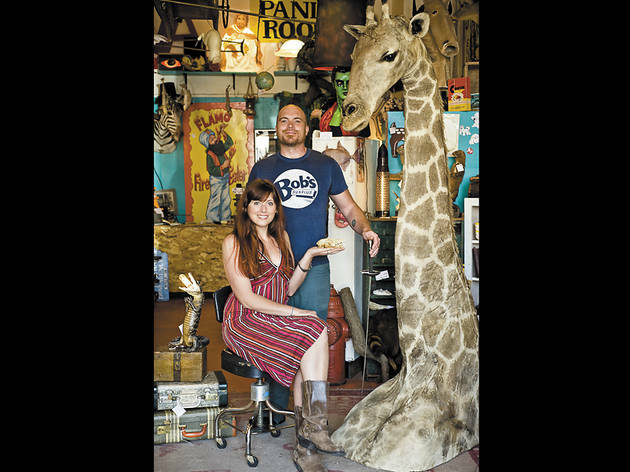 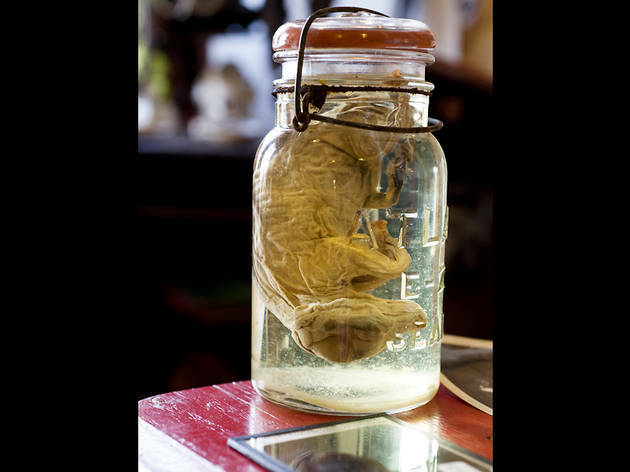 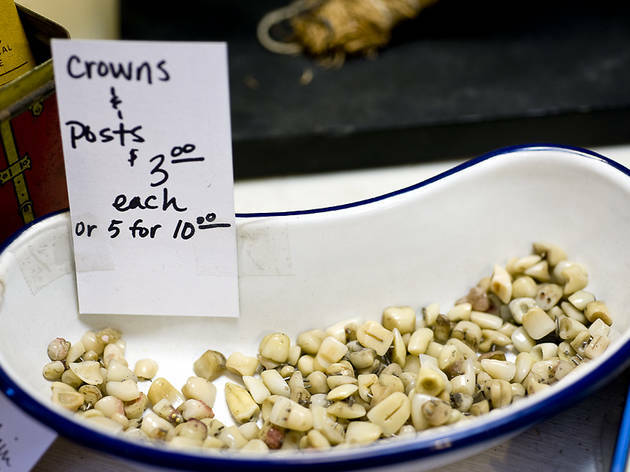 The couple recently pored over their inventory—the mummified roadkill, the skeletal remains—to uncover the stories behind the stock.